Hundreds of genes are changed by smoking e-cigarettes – what does this mean for health? 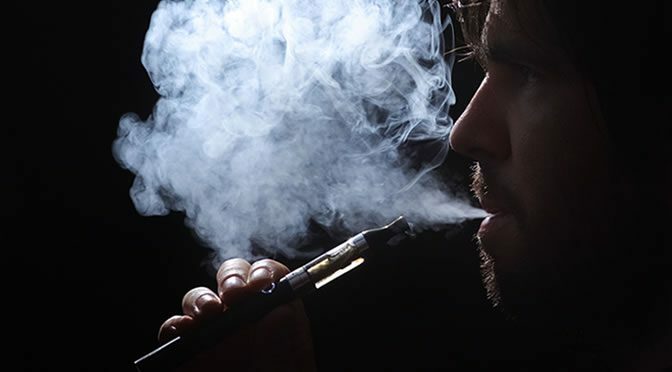 The health impact of electronic cigarettes in the long-term is not obvious yet but toxicologists are now certain that vaping e-cigarettes damages many genes, including the same genes which are affected by smoking. These genes are important for the immune system in the respiratory tract and alterations of these genes will increase the risk of inflammation, viruses and bacterial infections. Inhaling the vaporized flavored liquids can damage certain genes of the epithelial cells in the lungs. These cells along our airways — from the nose to the tiny bronchioles in the lungs — help protect us from sickness by trapping and dispatching particles and pathogens (harmful bugs). One of the reasons that smokers are more vulnerable to upper respiratory problems is that cigarette smoking changes gene expression in this area. However, smoking e-cigarettes has not yet been associated with regular cigarette diseases such as emphysema or chronic obstructive pulmonary disease (COPD) and cancer. “I think it is a mistake to try to directly compare cigarette smoking and e-cigarette use. We know that diseases like COPD, cancer, and emphysema usually take many years to develop in smokers. But people have not been using e-cigarettes for very long. So we don’t know yet how the effects of e-cigarette use might manifest in 10 or 15 years. This study was published in the American Journal of Physiology – Lung Cellular and Molecular Physiology (Martin et al., 2016).